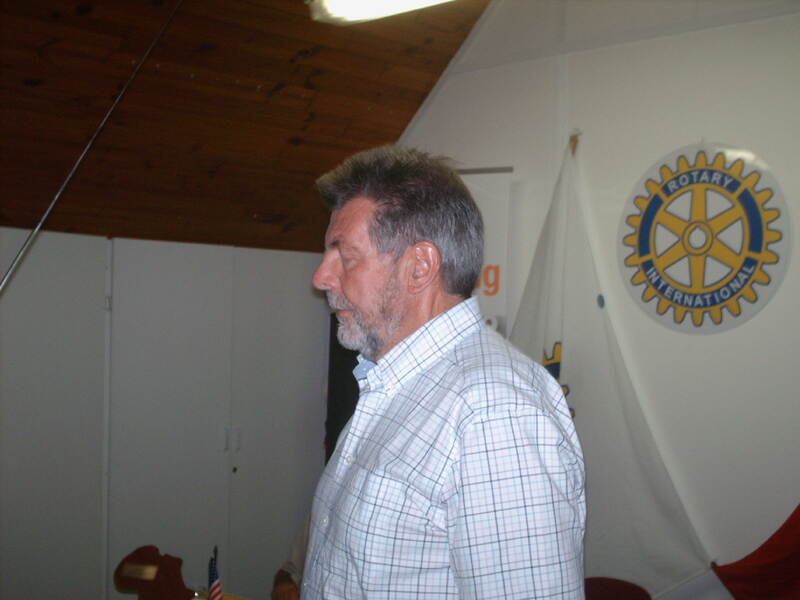 Fedde Renkema, who has been heading up Rotary Club of Hout Bay’s education programme for many years with the capable assistance of Hans Kuhn, has now been joined by Keith and Alison Bull who are now assisting with the daily running of this wonderful programme, of which the club is so proud. At our meeting last Tuesday, Keith Bull brought us up-to-date in general terms on the bursary program student-by-student, all of whom were present with us, in many cases with their mentors, to join in fellowship and for bursary recipients to recount to the members present their progress, personal experiences and hopes for the future. It was a wonderful experience. Fedde introduced Abigail who is studying management and administration at CPUT. She obtained 11 distinctions out of 14 passes in her exams and is well on the road to success. She has now been able to move out from home and take on the responsibilities of living alone. 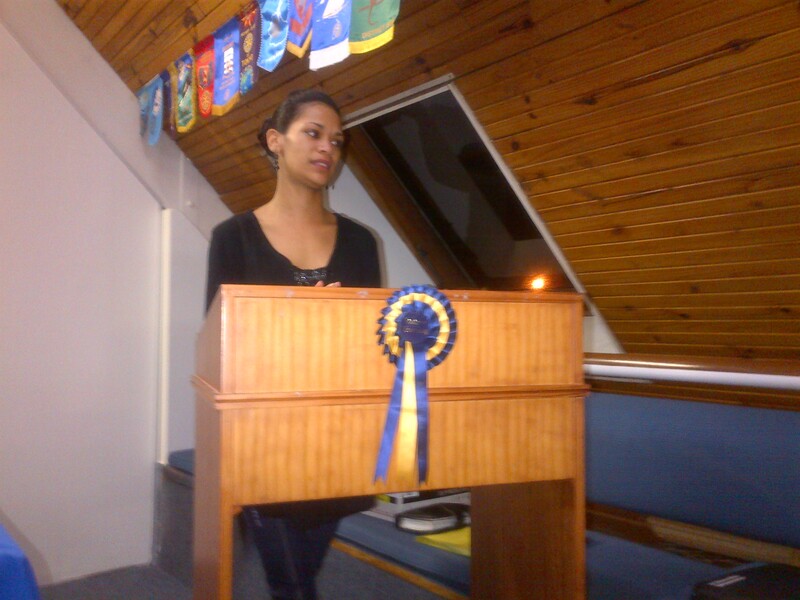 Alison Bull introduced at Cynthia who is studying B.con Accounting at UWC. 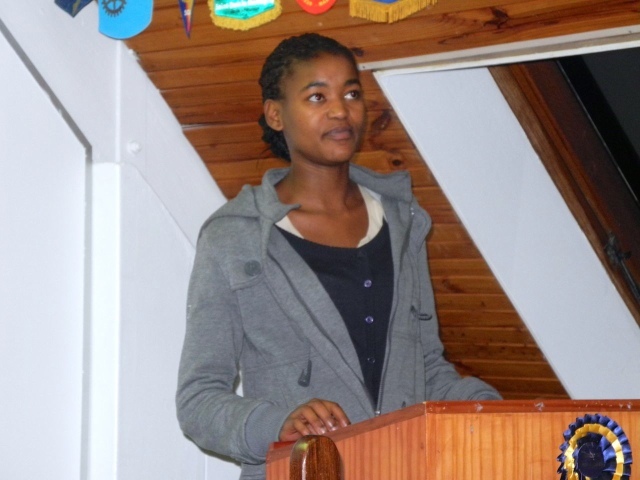 She is in her 2nd year and has been assisted by Rotary since her years at Hout Bay High School and thanked us for everything we have done for her. We provided her with everything she needed. 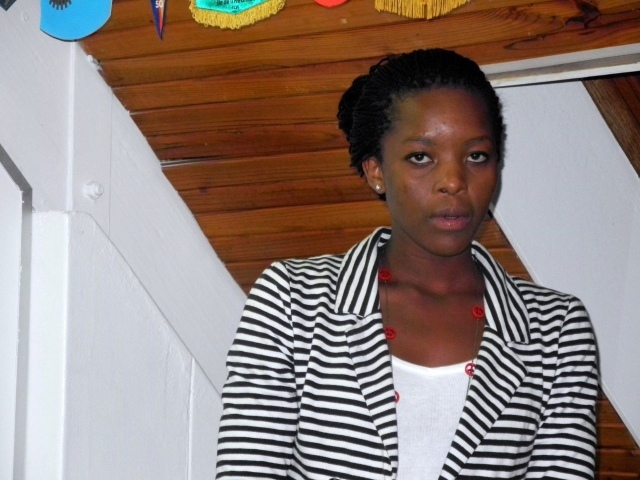 Cynthia is now being sponsored by KPMG and Teachers for Africa. She has passed all of her modules and is gaining work experience with KPMG. Cynthia was recently asked it to give a motivational talk at the new DISA high school which she found uplifting. Cynthia expressed her deep gratitude to Rotary and to her “second mother”- Alison Bull, of course. Fedde introduced Nicole who joined our bursary program two years ago to study beauty therapy. She graduated 3 weeks ago. She is now employed at Nail Tech and doing very well but it has been tough going through the study program during the weeks and working at weekends to support her family. Her proud father came to the evening as well. Raymond introduced Ncedo and Nkosanathi [who now likes to be known as Christopher] who are both studying Radiography at CPUT and are staying in accommodation at Groote Schuur. 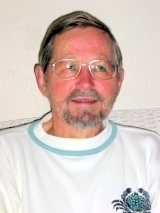 Their evident ability and intelligence was nurtured by the head of Hout Bay High School who introduced them to Keith and Alison Bull. 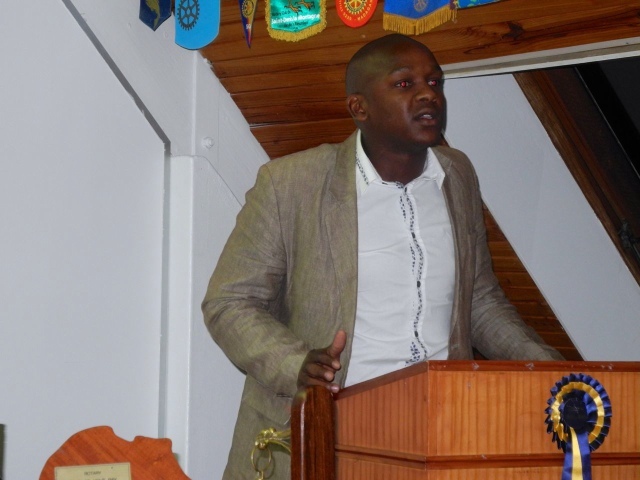 Ncedo spoke first and his dedication was clear from the outset. 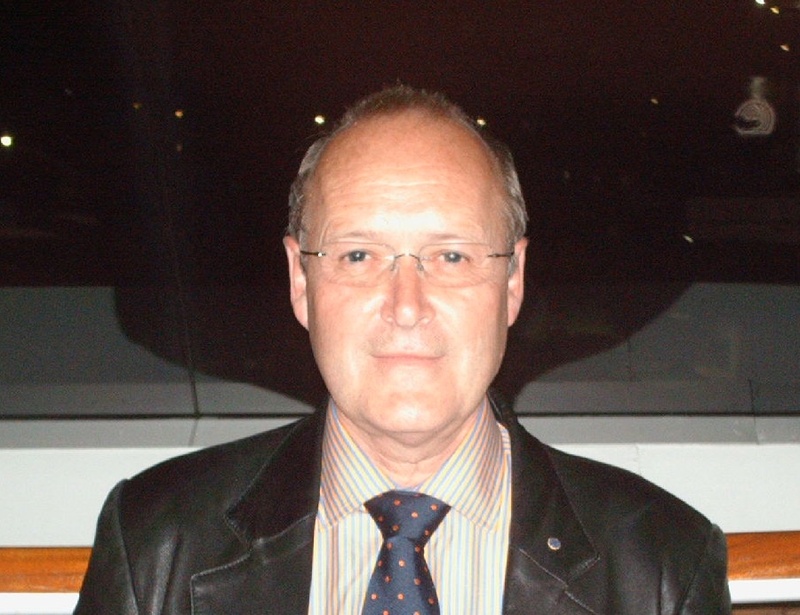 Speaking of his mother’s struggle with cancer in 2010 he learned of the importance of Radiography which led him to this course. He wants to give back to the community. Christopher gave us a powerful insight into the difficulty in his life as breadwinner but still having to progress with his studies. 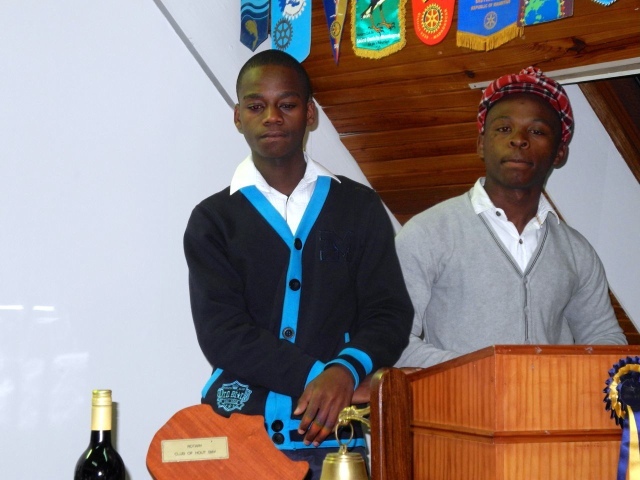 He saw little hope for his future until the principal of Hout Bay High introduced him to Rotary through Keith and Alison. His mother nearly died through medical shortcomings and he, like his best friend Sedo wants to give back to the community. As he eloquently put it “anything in life can be changed”. He thanked Keith and Alison for their hard work on his behalf and Raymond for his invaluable mentoring. Butch introduced Vuyo who went through grades 10, 11 and 12 with bursary assistance and ended up as Head Boy at Wynberg Boys High. No mean feat and well deserved. Vuyo is now studying at UCT. Rotary funds did not allow us to continue with his educational program but Vuyo was steered toward the Tomorrow Trust which has stepped in to continue. Vuyo spoke of how emotional it was to listen to Ncedo and Christopher and to recall how he also was helped by Rotary through his early years. He thanked Butch and Hout Bay Rotary and promises that he will give back to the community in helping the exploited and underprivileged. This was an evening to celebrate the success and achievement of the bursary program and the dedication of all involved.